Each year, we get numerous upgrades in the flagship smartphone world. Generally, these are mainly iterative, But 2017 is a different year. Manufacturers have gone all out for upgrades, in a lot of critical areas. The big talk when we look at performance is about 10nm processors. The decrease in processor size promises a lot of upgrades all around. Now that all companies are done with their launches, we can finally take a look at which one comes out on top for benchmarks. There have been a few surprises this year as well, particularly with Apple’s A11 Bionic. Cupertino’s added two more cores to its latest processor bringing total count up to six. Take a look below to find out more. Apple iPhone 8 Plus Vs All Of Android Flagships; Which Device Takes The GeekBench 4 Crown? Before we get down to the nitty-gritty, a word to the wise. Benchmarks are good to gauge how a device’s processor handles specific workloads, under specific conditions. This does not mean that what you see is a 100% completely accurate representation of real life performance. Several factors, including the exact version of software being employed, come into play when computing these scores. Finally, all the scores save the iPhone 8 Plus are aggregates, which the Apple device is our own testing module. Let’s start with Samsung’s Galaxy Note 8. We’ll talk about variants of the phablet that feature Qualcomm’s Snapdragon 835. The Snapdragon has 4 big and 4 LITTLE cores, clocked at 2.45 and 1.9GHz respectively. The highest score of Seoul’s very best in single core is 1875, and the lowest is 1235 points. For multi core, highest is 6648 and lowest is 5311. In aggregates, the Note 8 scores 1830 for single and 6353 for multi core. The LG G6 has highest and lowest single core scores of 1815 and 885 respectively. For multi-core these are 3905 and 2501. Aggregates for single and multi are 1679 and 3726 respectively. The LG V30 gets a high score of 1899 and low of 1886 for single core. For multi core, it’s 6191 and 6446 low and high respectively. Aggregates are 1894 for single and 6342 for multi core. The Nokia 8 out does the Galaxy S8+ and Galaxy Note 8. HMD’s flagship gets a high single core score of 1939 and high multi core score of 6610. Lows are 1911 for single and 6049 for multi core results, respectively. In aggregates, the Nokia 8 scores 1925 in single core and 6506 for multi core. Finally, it’s time for the smartphone we’ve all been waiting for. 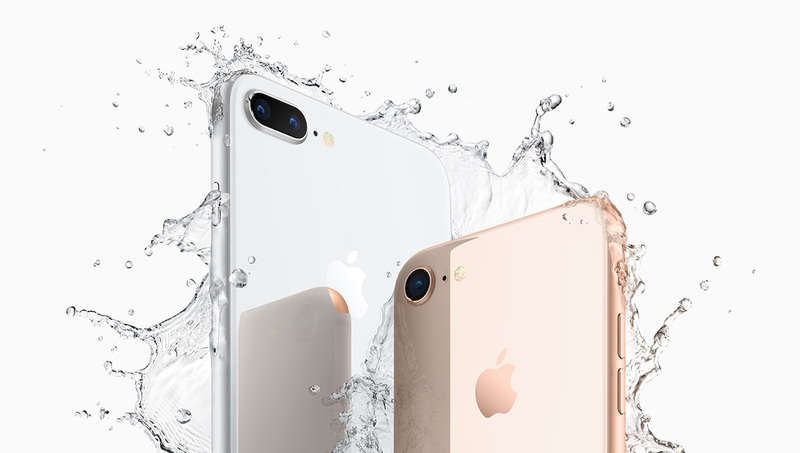 Apple’s iPhone 8 Plus features the A11 Bionic processor. While there’s no hidden meaning behind the term ‘Bionic’, the iPhone 8 Plus’ processor is very efficient. It’s got six cores, all of which can run in high performance mode should the need arise. GeekBench 4 results for the iPhone 8 Plus are nothing short of fantastic. In our tests, the iPhone 8 Plus scores 4242 in single core and a massive 10,156 in multi core. You can take a look at detailed results above. To conclude, Apple’s surprised everyone this year with the iPhone 8 and iPhone Plus. Prior to the A11, iOS was reserved only for single core performance. In multi-core, Android, with its four big cores always took the lead. But now, Apple’s numbers are there for all of you to see. Android’s clearly dropped the ball with smartphone performance this year. Tim Cook’s belief that his company’s custom processors will power low-end notebooks in the future doesn’t seem unwarranted. Thoughts? Let us know what you think in the comment section below and stay tuned. We’ll keep you updated on the latest.